“All spice” redirects here. For all spices, see List of culinary herbs and spices. Allspice, also called pimento,[a] Jamaica pimento, Jamaica pepper, pimenta, or myrtle pepper, is the dried unripe fruit (berries, used as a spice) of Pimenta dioica, a midcanopy tree native to the Greater Antilles, southern Mexico, and Central America, now cultivated in many warm parts of the world. The name “allspice” was coined as early as 1621 by the English, who thought it combined the flavour of cinnamon, nutmeg and cloves. ^ “The Plant List: A Working List of All Plant Species”. Retrieved 19 August 2015. Oxford English Dictionary (2 ed.). Oxford, UK: Clarendon Press. 1 March 1989. ISBN 978-0-19-861186-8. Retrieved 12 December 2009. ^ Branch, Legislative Services. “Consolidated federal laws of canada, Food and Drug Regulations”. laws.justice.gc.ca. Retrieved 19 July 2018. ^ Lorence, David H.; Flynn, Timothy W.; Wagner, Warren L. (1 March 1995). “Contributions to the Flora of Hawai’i III” (PDF). Bishop Museum Occasional Papers. 41: 19–58. ISSN 0893-1348. Retrieved 12 December 2009. ^ Nancy Gaifyllia. “About.com Greek Food – Allspice”. Archived from the original on 7 July 2011. Retrieved 26 June 2011. 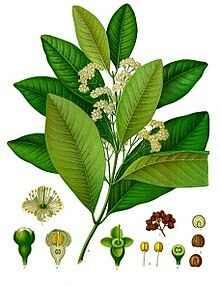 “Pimenta dioica“. 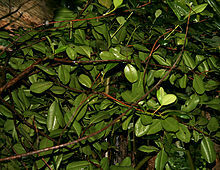 Floridata Plant Encyclopedia. 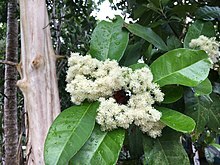 “Pimenta dioica“. Plants of Hawaii. Hawaiian Ecosystems at Risk project (HEAR). “Allspice”. Gernot Katzer’s Spice Pages. “Allspice”. The Encyclopedia of Spices. Epicentre.com.